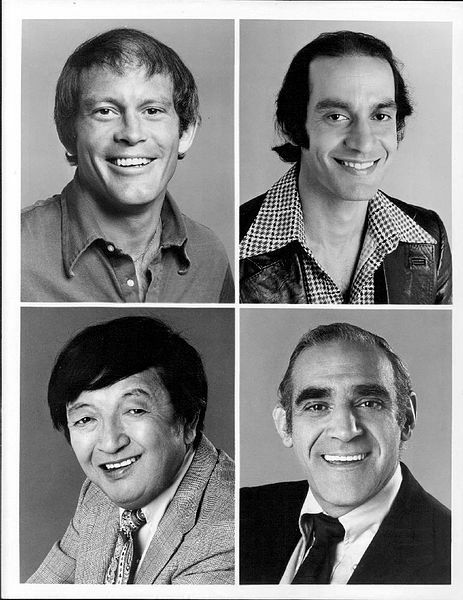 Because it has been a long week we thought we would focus this Sunday morning on some lighter fare, this interview about 1970s television show Barney Miller. I have never understood why this show–which did last eight seasons–is not a greater part of our cultural memory. That it fell between genres–cop show, escapist sit com, socially relevant sit com–is the best I can come up with. One thing I think that hurt BM was being on ABC instead of CBS. The Tiffany Network, with its stable of Norman Lear shows such as All in the Family, Maude, One Day at a Time, and others, would have done a better job generating a following. I have wanted to watch old episodes but alas BM is not available on either Amazon Prime or Streaming Netflix. I had never thought about the idea that a show about a police precinct would itself be a statement coming after the social unrest of the 1960s. I know BM is in syndication and still watched by a large number of folks. I imagine though that its audience is primarily aging and watching for its nostalgia factor. It would be great if this show were rediscovered by a younger cohort in that “everything old is new again” vein in which popular culture operates.